Take up one idea. Make that one idea your life - think of it, dream of it, live on that idea. Let the brain, muscles, nerves, every part of your body, be full of that idea, and just leave every other idea alone. This is the way to success, that is way great spiritual giants are produced. Lovely captures of the berries and droplets. Thanks for sharing, love the quote! Beautiful series!! Boom & Gary of the Vermilon River, Canada. Creative montage of photos ~ Beautiful! Awesome, awesome shot and quote!! Magical is a good word to describe your shots and your posts. I know I always enjoy visiting! I love the raindrops on the berries...truly beautiful!! Beautiful photos of the water dripping from the berries. Such a pretty combination! 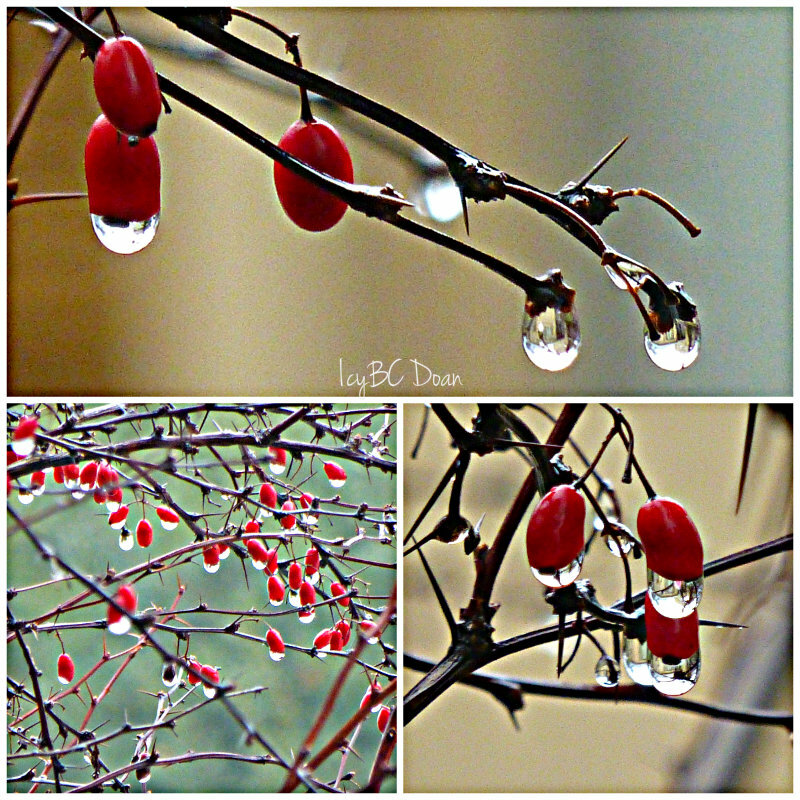 Raindrops and red berries.